How cute are her labels! Silly Bee's Chickadees Melly's Mix has a clear base with various colors and sizes of hex, diamond and square glitter. It's described as a "celebration in a bottle" and I couldn't agree more! I used 2 coats of Essie Where's My Chauffeur topped with 1 coat of Melly's Mix dabbed on and a top coat of Seche Vite. 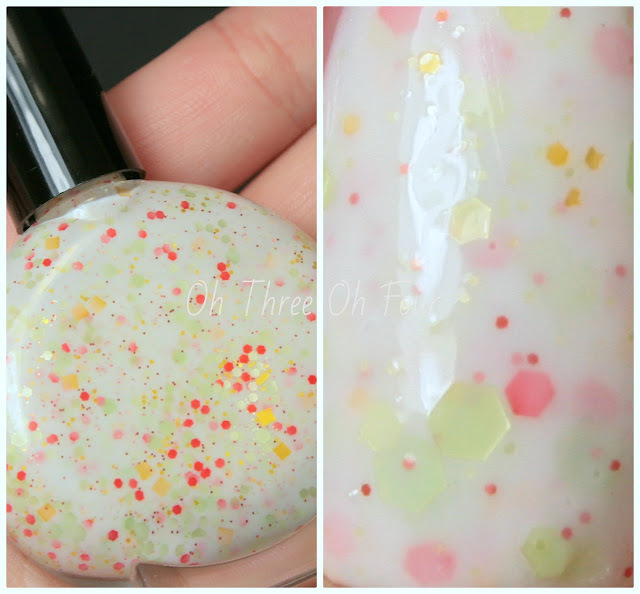 Orange You a Honeydew Smoothie is a creme white based polish with matte orange hexes, pale yellow squares and matte pale green hexes. All nails are 3 coats with a top coat of Seche Vite. Silly Bee's Chickadees polish can be purchased through etsy here. Melissa also offers nail wraps and adorable pincushions in her etsy store! Make sure to like Silly Bee's Chickadee's on Facebook here and check out her blog here (she is a crafting queen!). 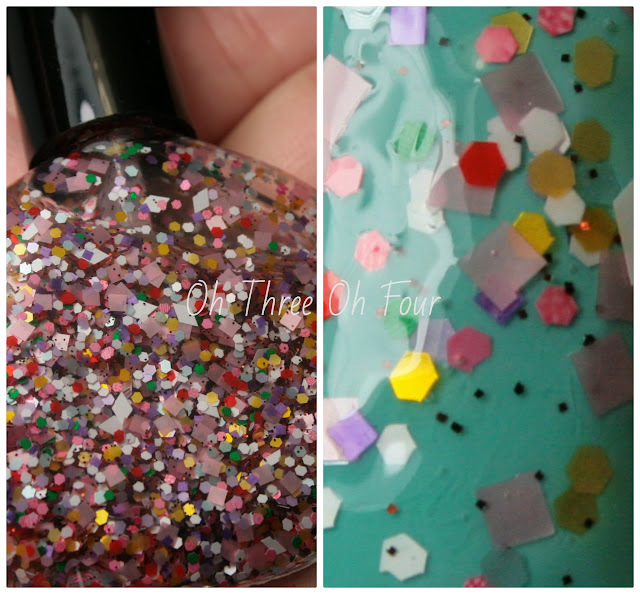 For swatches of all of Silly Bee's Chickadee's polish make sure to read Polish Monster's post here.